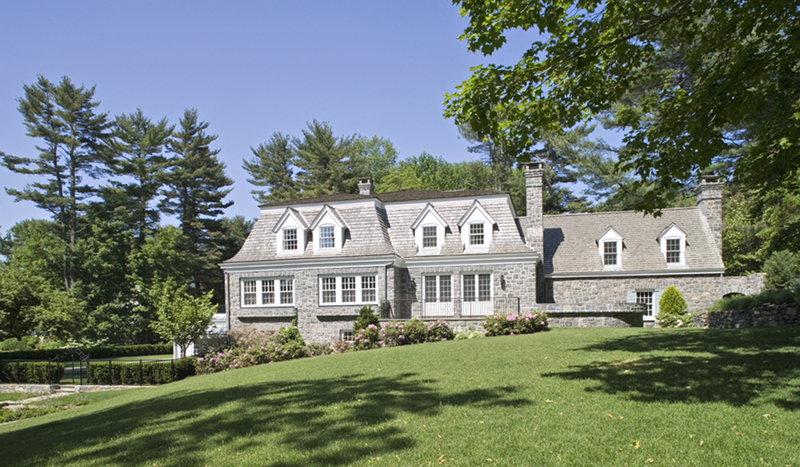 We worked with the client for over three years to renovate this historic, turn-of-the-century, stone English country home. 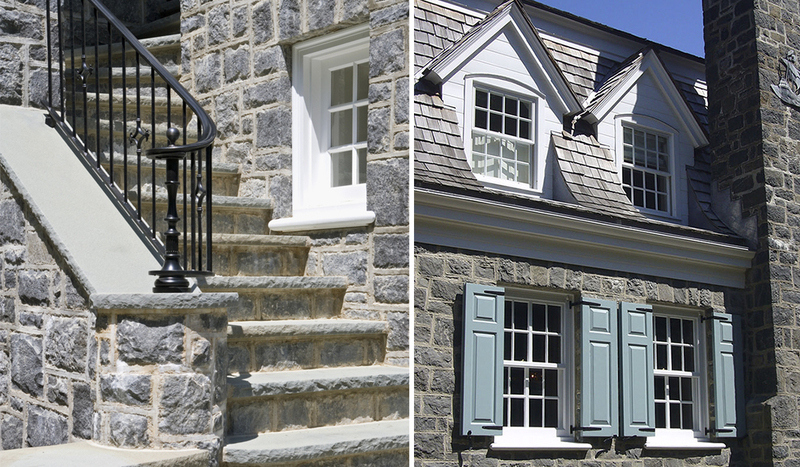 The goal was to rehabilitate the house after a series of previous bad additions. We decided to tear down the connector between the two wings of the house and rebuild them. 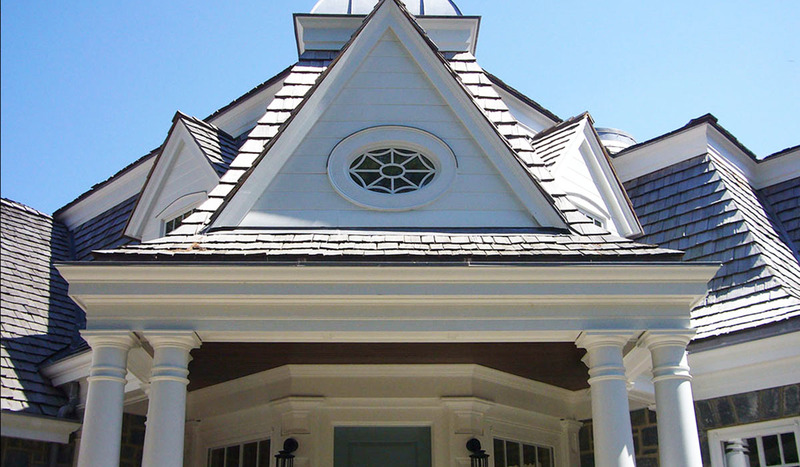 The project was managed in a very authentic way – every detail was carefully conceived and executed, from the entry portico to the species of wood used in each individual room. 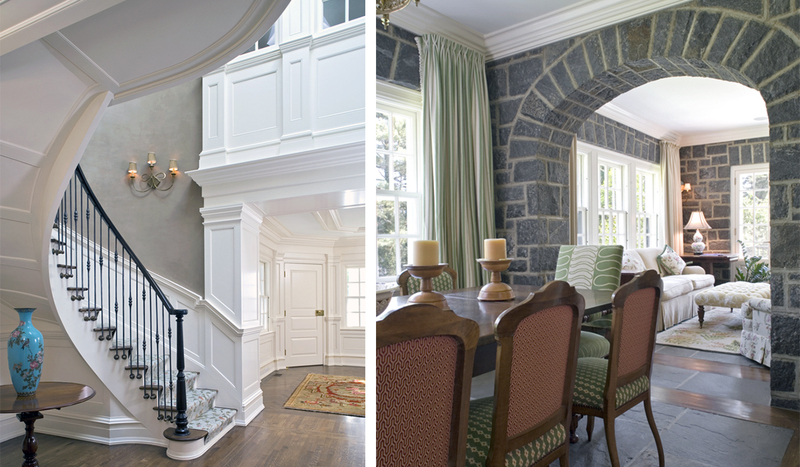 Beautiful examples of millwork can be found in the custom Billiard Room and Library. The grounds accent this country home with a sunken formal garden in the front, and a courtyard effect around the pool.